An Israeli soldier near the entrance of a Hamas tunnel. 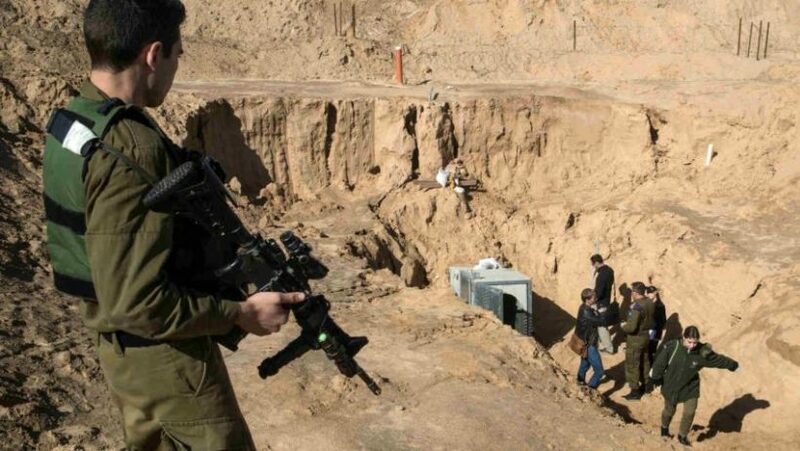 (Compiled from reports by Ian Lee, CNN, Allen Cone, UPI and Max Jaeger, NY Post) – Israel’s military destroyed a tunnel originating from Gaza that penetrated tens of meters inside Israeli territory, the Israeli Defense Force (IDF) announced Sunday. This is the fifth tunnel destroyed in the past five months, the IDF said. Digging began in 2014, and Israeli officials say they had been monitoring progress using new technology. 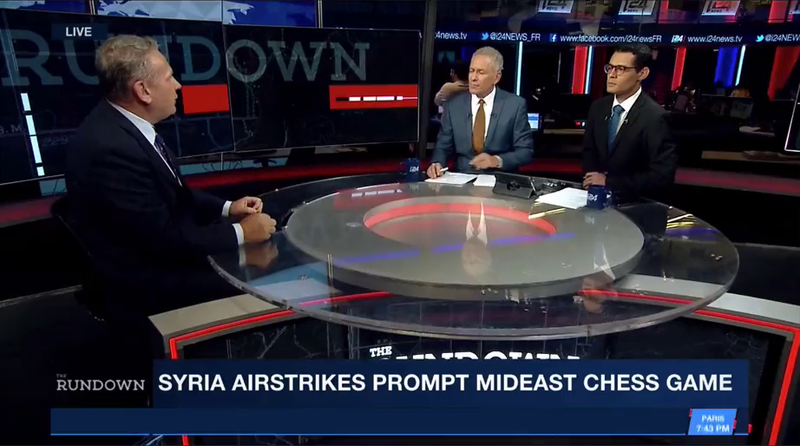 “This specific tunnel was a complicated and high-quality one, in the sense that it was a network of tunnels [penetrating Israel from] the northern part of the Gaza Strip,” IDF spokesperson Lieutenant-Col. Jonathan Conricus told reporters. The destruction of the tunnel network comes amid a wave of Palestinian protests along the border fence between Gaza and Israel, which began at the end of March. In what has been called “The March of Return,” Palestinian protesters have attempted to cross the border fence into Israel to return to what they say are their lands. The Israeli military and officials have said they will not allow any breach of the border fence. Nearly 1,000 Palestinian protesters were injured in Gaza on Friday, largely from live ammunition and tear gas fired by Israeli soldiers. 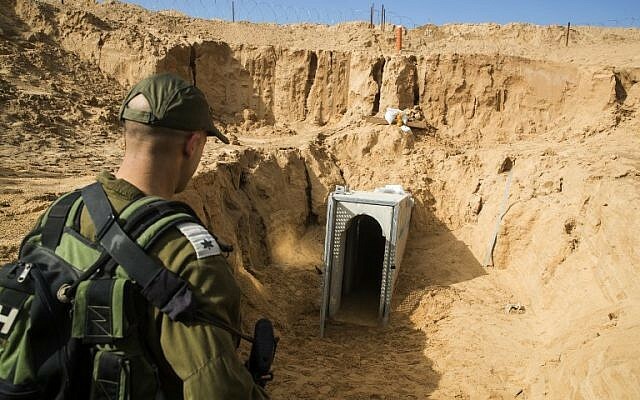 The IDF described it as an “offensive Hamas terror tunnel” that served as a main artery, with several other connected tunnels. The decision to destroy the tunnel came after it penetrated Israeli territory, he said. The army said the tunnel originated several kilometers inside Gaza, from the Jabalia neighborhood, and was heading toward the general vicinity of the Israeli community of Nahal Oz. No explosives were used to destroy the tunnel, but rather it was filled with an unspecified material that “rendered it useless for a long period of time,” Conricus said. According to Conricus, the main tunnel as well as the smaller connecting tunnels were destroyed. Digging began in 2014, and Israeli officials say they had been monitoring progress using new technology. It is the fifth tunnel dismantled in five months, according to officials. The nation revealed Sunday it has operated an anti-tunnel research laboratory since 2016 that is partially funded by the US. Israeli officials also said that Palestinian protests at a border fence nearby were meant to distract from the subterranean tunneling project. “The violent riots that have been taking place in the area of the security fence are an attempt to mask the terror attacks intended to take place above & below ground,” the IDF said. IDF spokeman Brig.-Gen. Ronen Manelis described it as “significant tunnel” that was connected to other ones. “Hamas has been working in recent months, and more intensively in recent weeks, to turn the border fence into a zone of terror and fighting,” Manelis said. “The violent demonstrations are a cover for terrorist attempts both above and below ground. Israel’s response to the unrest [has been criticized in most media reports — IDF snipers have killed 31 Palestinians, drawing international censure. More than 30 Palestinians have been killed over the past three weeks in clashes, according to Hamas-run health authorities. The protests are supposed to peak in mid-May on the 70th anniversary of Israel’s creation. On Friday, at least 10,000 Gazans participated in large-scale demonstrations. Israeli military said protesters hurled an explosive device and firebombs and made “several attempts” to damage the fence between Israel and Gaza. Two weeks ago, an estimated 30,000 participated; last week the number was approximately 20,000. Israel is also building an underground barrier to detect and block future tunnels that Hamas may seek to build. Israel has said that the barrier, in conjunction with new technological developments, will render Hamas’ tunnel project impotent. (Compiled from reports published on April 15 at CNN, UPI and NY Post). b) What is the reason for the Palestinian protests on the Israeli border, according to the IDF? c) Israel’s Defense Minister Avigdor Liberman said, ”The tunnel, in which millions of dollars have been invested, money which instead of being invested to lighten the desperate situation of the people, has sunk into the sand. Residents of Gaza: Hamas is burning your money on tunnels to nowhere.” Is this a reasonable assertion? Explain your answer.